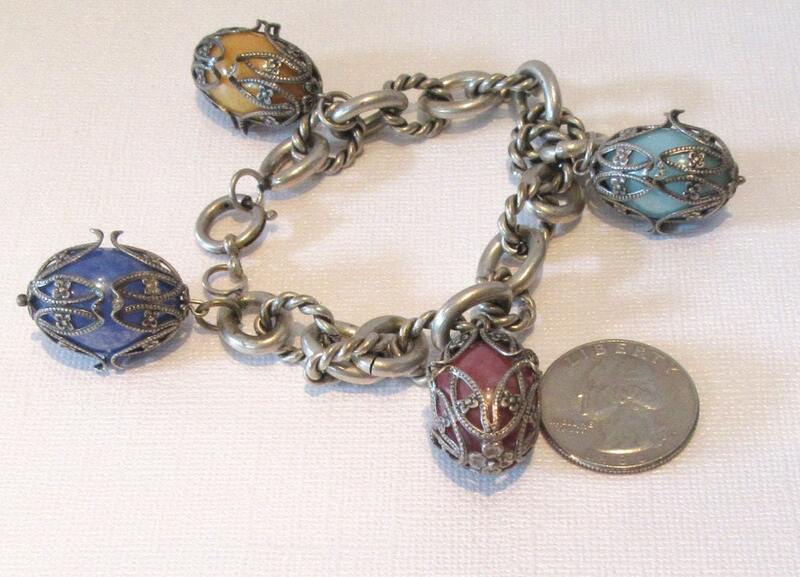 This is such a great fun bracelet. 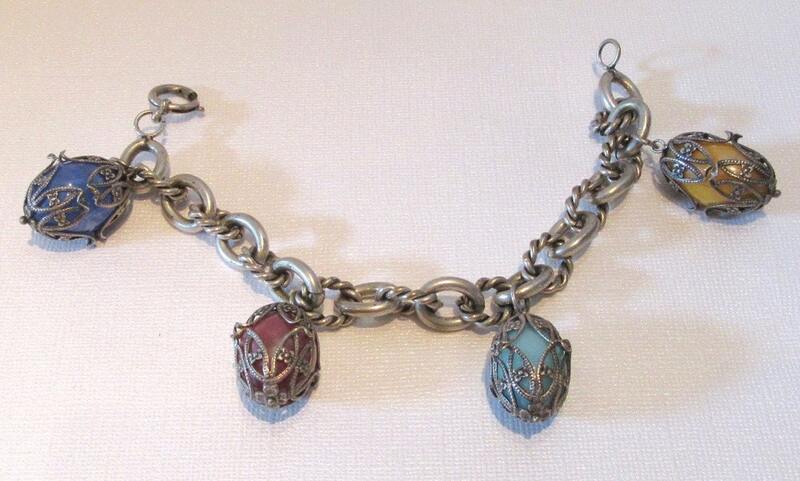 The bracelet is base metal with 4 egg shaped beads encased in a filigree "cage." Each one of the "eggs" are a different color....yellowish orange, mint green, blue and mauve-rose. Every other link is a braided oval. 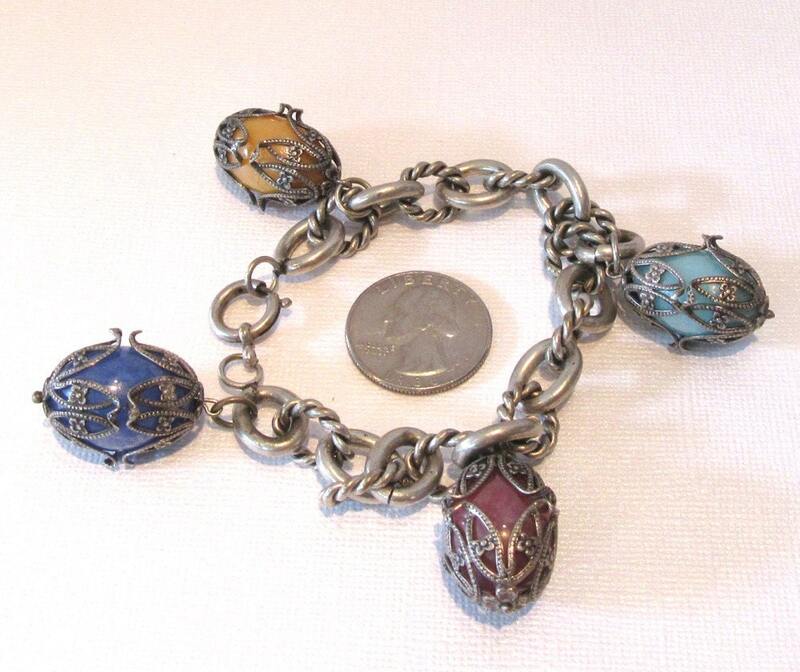 The bracelet measures approximately 8 inches in length. The safety clasp does work but sometimes you have to coerce the "pull back" rod to go into the hole....we would be happy to replace it with a different one if you would prefer....but wanted to offer it in its original state first. We seriously believe that jewelry should be fun...seriously fun! 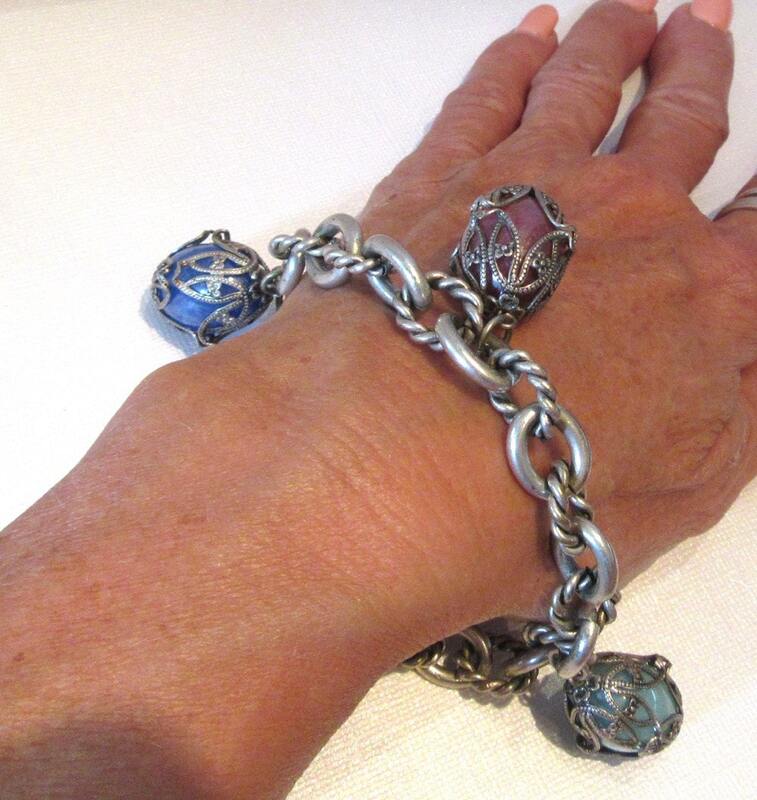 And this bracelet definitely is FUN!